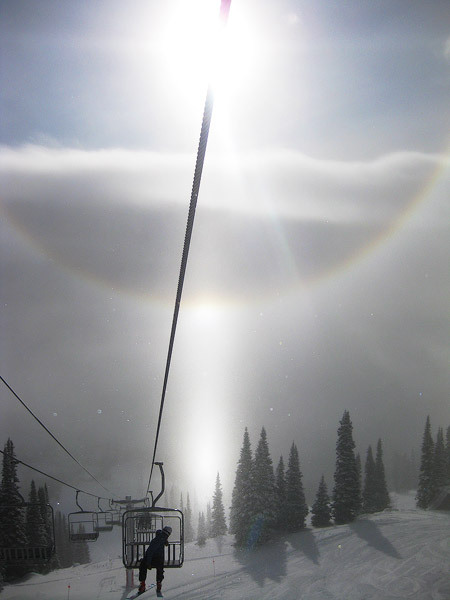 Today I witnessed an incredible sundog in the sky above Jackson Hole. People were forgetting about skiing and snowboarding as they looked up and marveled at the solar spectacle. So surreal… This photo only shows a portion of the magnificent light pattern in the sky! Posted in Skiing/Snowboarding and tagged Tetons, Wyoming on December 18, 2009 May 19, 2013 by Jack Brauer.